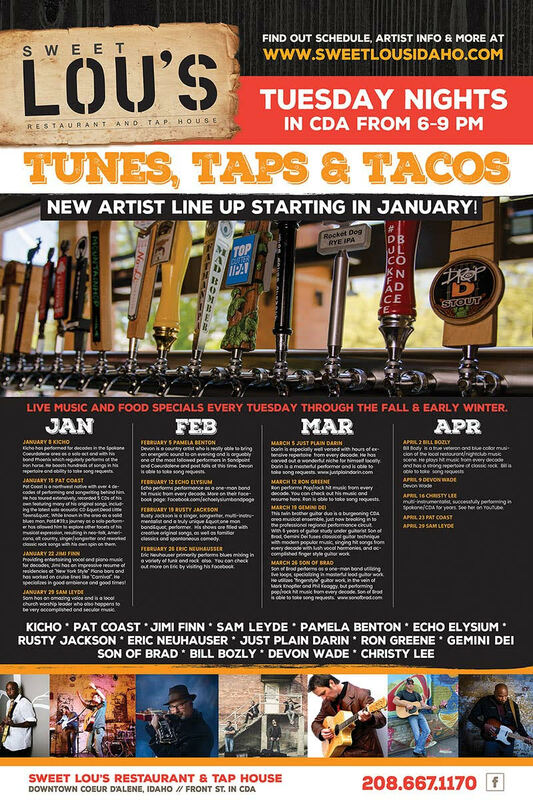 January 8 we will be kicking off our new live music line up! Come on in and enjoy your favorite local artists while drinking your favorite local brew! Devon Wade, Christy Lee, Pat Coast – just to name a few. 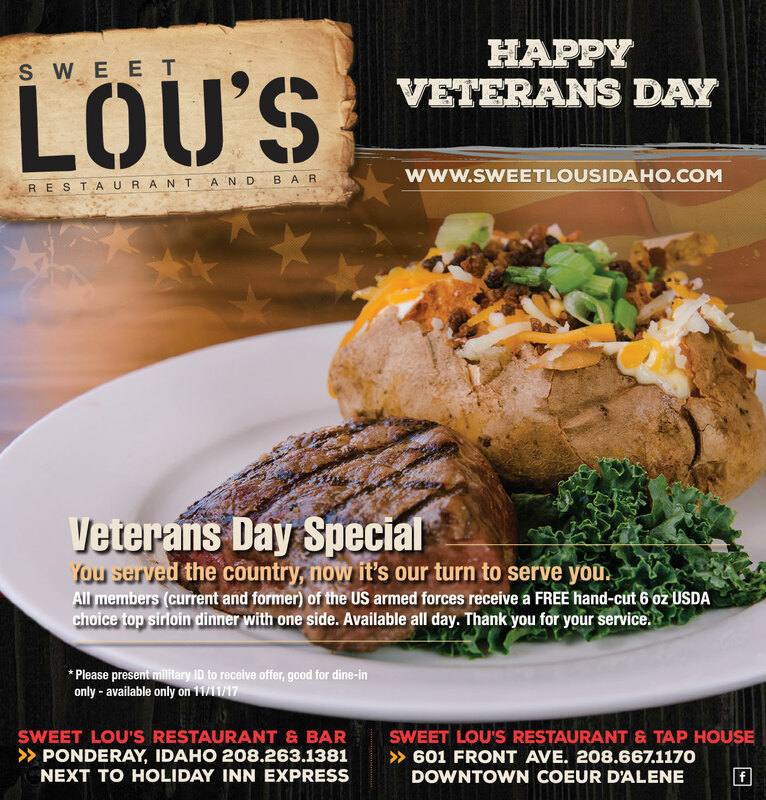 We will see you here! 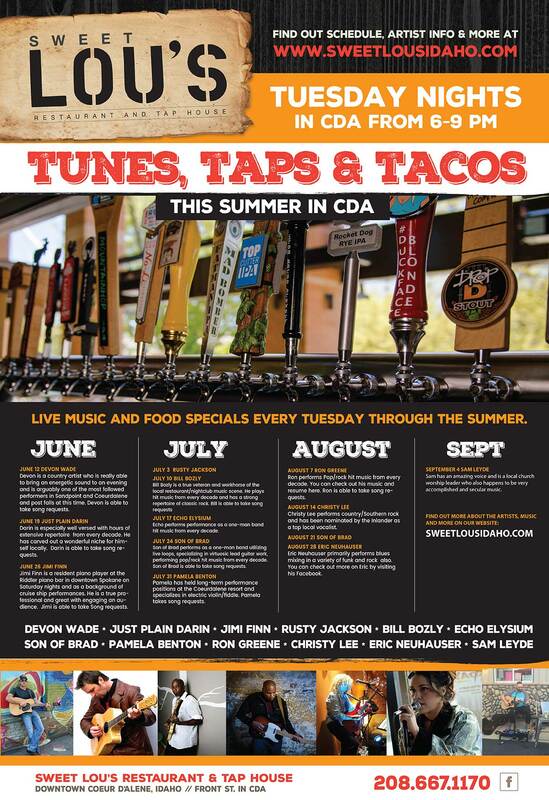 Enjoy live music and great food/drink specials every Tuesday night in Coeur d’Alene from 6-9 PM. 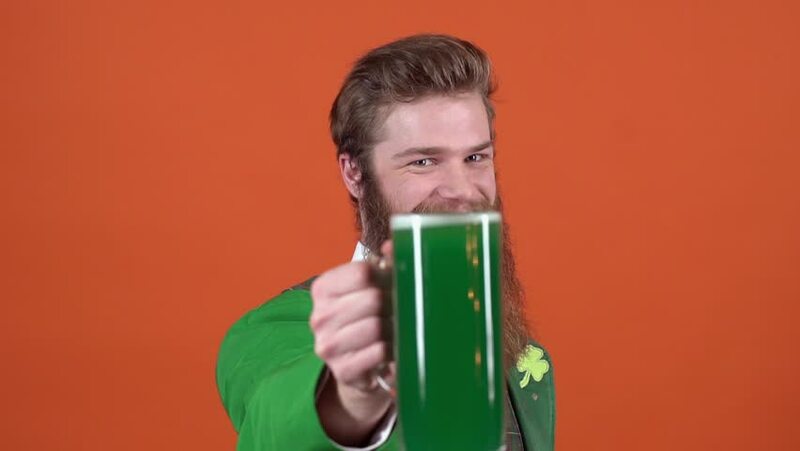 Join us for St. Patrick’s Day fun! 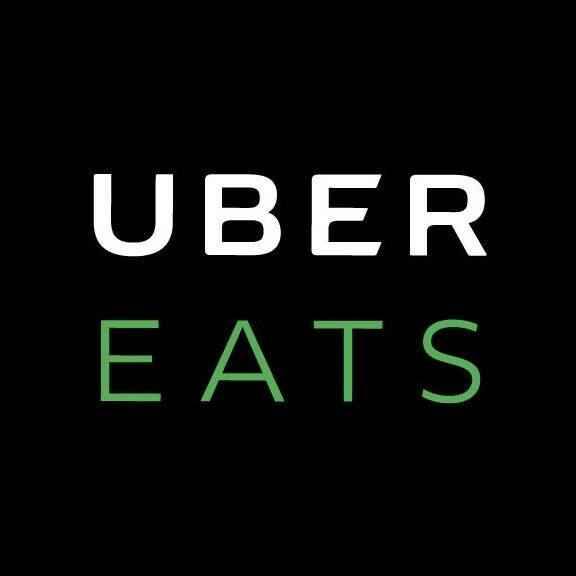 Enjoy corned beef and cabbage, served with red potatoes and carrots for $12.99, $3.00 green pints and $1.00 off Guinness pints (CDA only for that deal). Another bonus – IN CDA, THE DECK WILL OFFICIALLY BE OPEN! Wear your green and your sunglasses! Cheers! 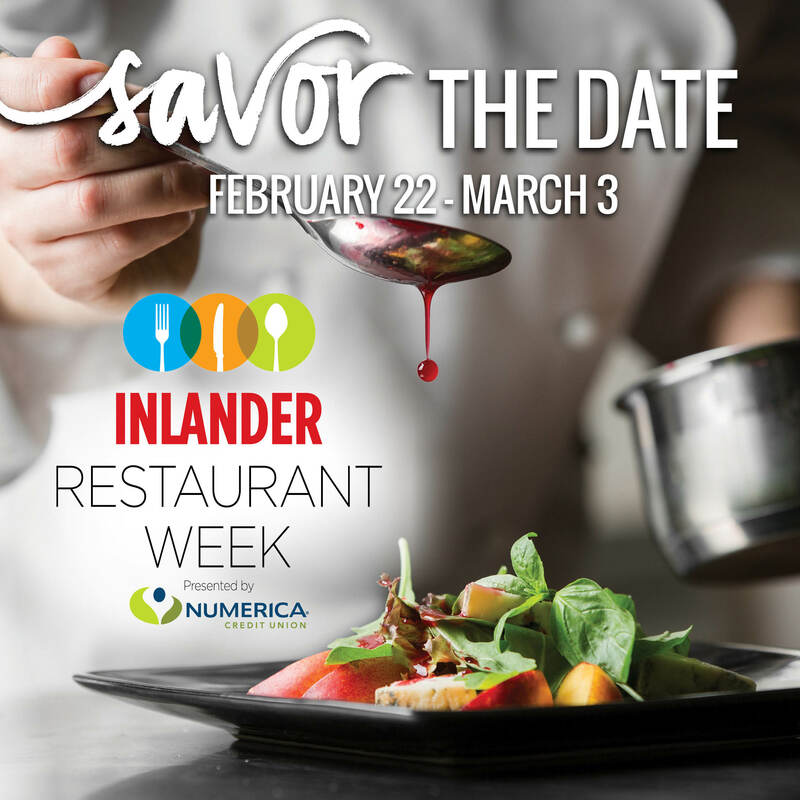 Inlander Restaurant Week is Here! 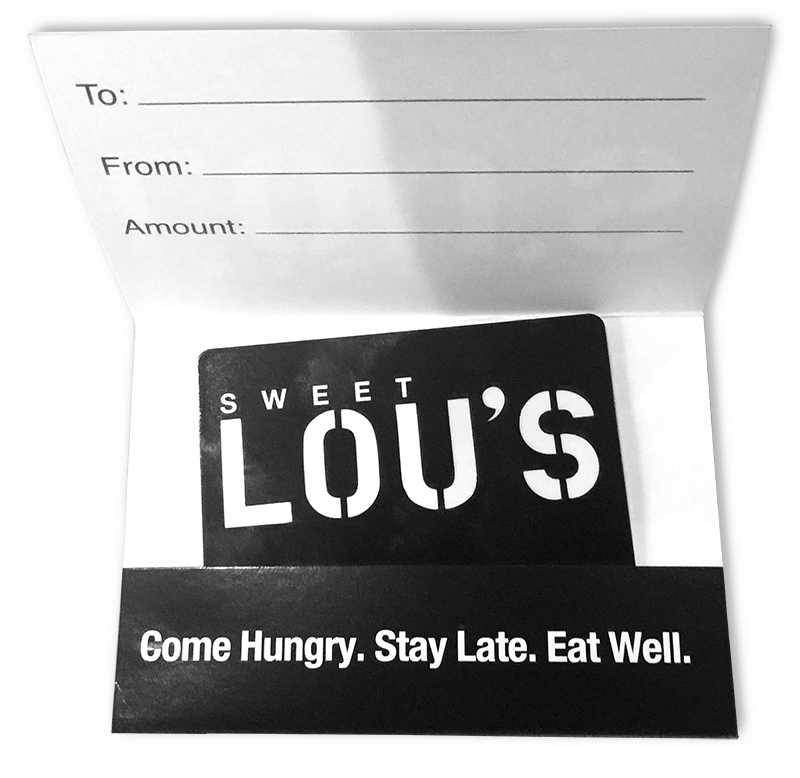 Treat Your Sweetie to Sweet Lou’s! 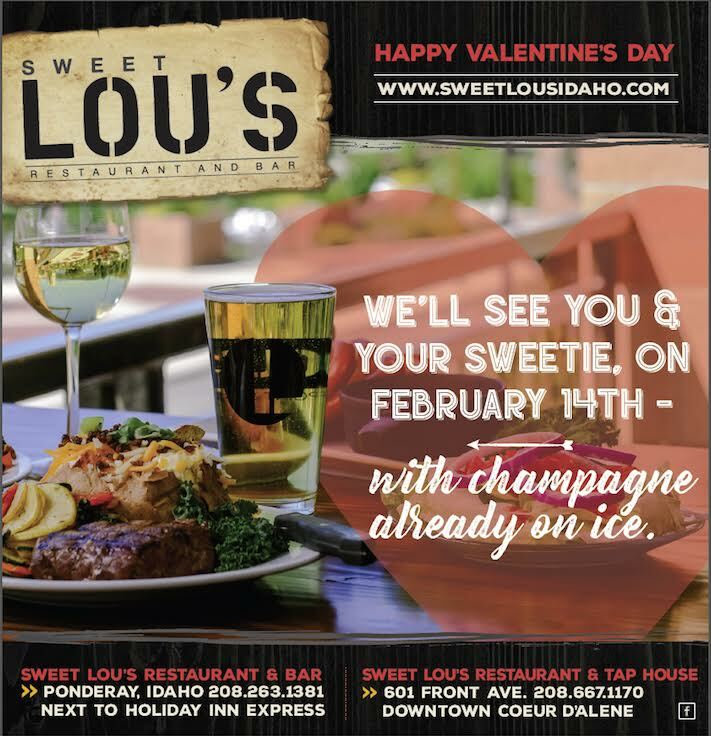 We hope to see you, and the ones you love, at Sweet Lou’s on Valentine’s Day. Both locations will be running tasty specials in honor of romance. Hugs and kisses! Super Seat Save Your Super Bowl Seat! Monday Night Football is HERE! Monday Night Football is here! 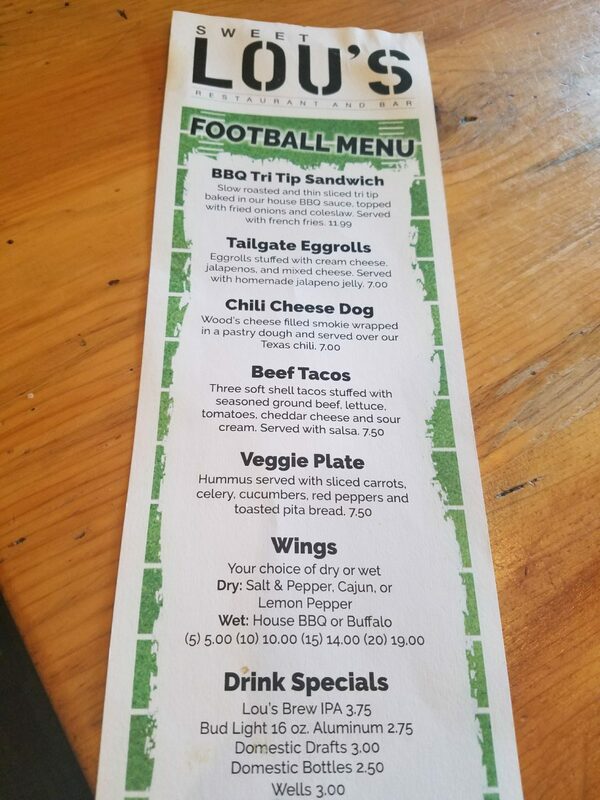 Get your taste buds ready for the NFL menu and your party pants on for good times with our friends from K102 – Country! 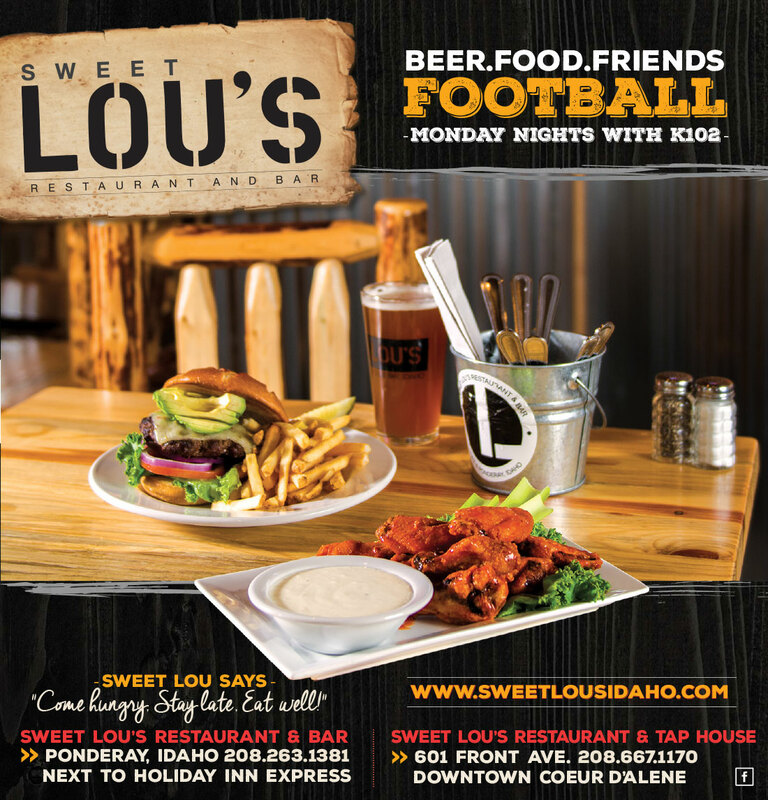 The action will be happenin’ at both locations tonight!